A legislative resolution basically saying “enough is enough” when it comes to gun laws is before the Utah State Legislature. Republican Representative Cory Maloy lists 20 existing statutes addressing gun issues, which, he says, strike a good balance between safety and gun owners’ rights. He maintains that nothing further is needed. Pending before the Legislature is what is called a “red flag” law, which empowers police officers to temporarily confiscate firearms if they believe they represent a threat. However, confiscation can only be done pursuant to a court order based on a petition from the owner’s family or legal authorities. 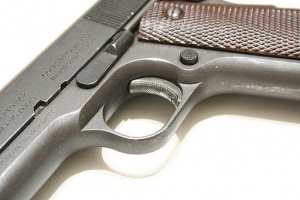 In Utah, 85 percent of suicides are committed with a firearm.